I've been commissioned to create a series of sculptures identifying the EDGE District in St. Petersburg, Florida! "Downtown St. Petersburg's historic EDGE District is a global destination and ideal urban living place. Rooted in rich history of pioneering and industry, the district features restored buildings, landscaped corridors with majestic palms, public art, and eclectic shopping, dining, and cultural experiences. The district's authentic, safe, and beautiful environment promotes a connected, active community." 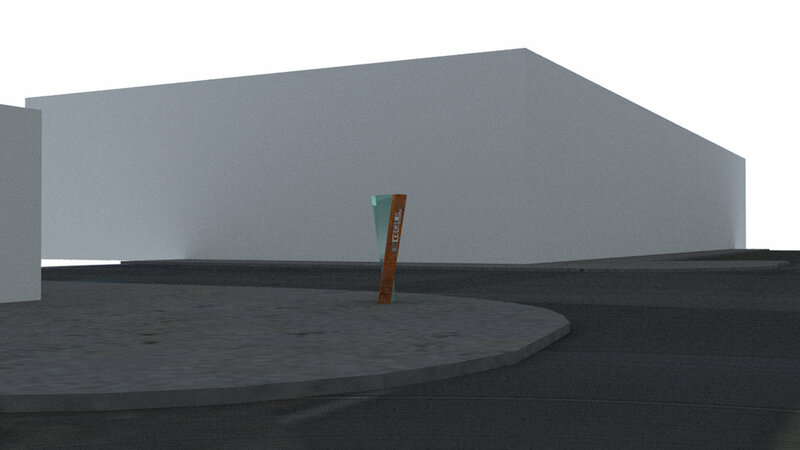 This project consists of multiple gateway markers utilizing one design. There will be two larger scale sculptures and six to eight of smaller scale spread through the district. 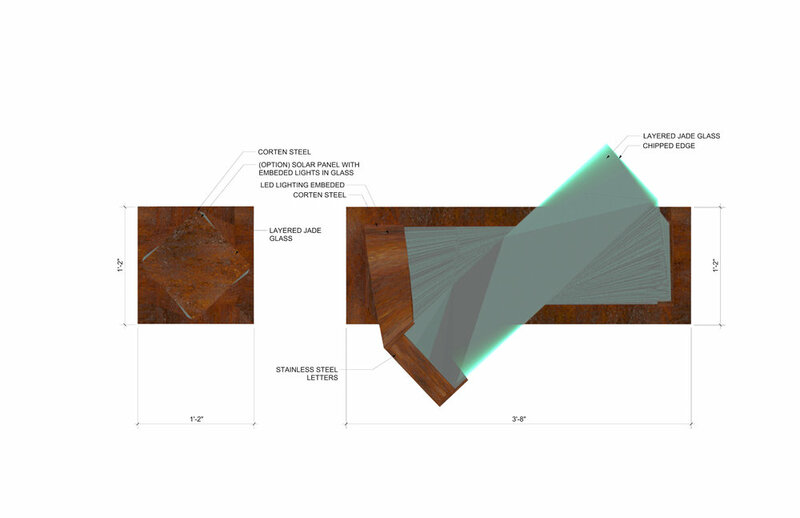 The designs incorporate sculpted jade green glass, Cor-ten weathering steel, LED lighting and stainless steel. These materials combine solidity with fluid mobility, shifting in mass and shape in response to the time of day and the viewer’s perspective. By day the steel has a warm natural finish and the sculpted glass plays with the light as it gleams through its hand chipped, jewel like texture. By night the illuminated glass elements create a dialogue of light and color. Through this dual sense of stability and motility, a transformative relationship between physical space and the diversity of individual reactions to that space is mirrored.